2 or more or appetites? Double the size for circumstances requiring a bigger bottle! PUMP, SAVE, AND ENJOY LATER | Built-in vacuum pump preserves freshness of your smoothies and shakes for 3-7 days. LEAK-PROOF AND TRAVEL-FRIENDLY | 16-oz. 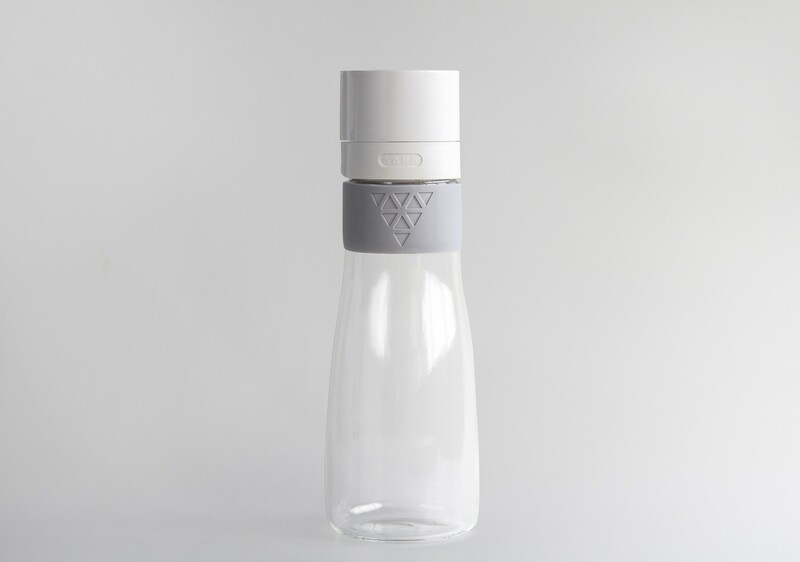 bottle is ideal for both drink storage and on-the-go use with secure, air-tight, leak-proof seal. EASY GRIP GLASS BOTTLE | Borosilicate glass is protected by easy-grip silicone sleeve to ensure long-term, clean, and healthy usage. HIGHLY VERSATILE AND SIMPLE TO USE | Preserves smoothies, shakes, juices, wine, fruits, vegetables, baby food, and more. Pump 5-7 times and it's vacuum-sealed. Wide-mouth opening makes hand-washing easy.